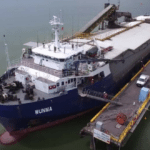 Concentrate is being pumped via a 304km pipeline to the Port of Karumba for shipment on the refurbished vessel MV Wunma. 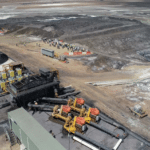 The project is off to a promising start, achieving continual daily record hydraulic mining rates and a consistent slurry density of 47–50 per cent, well above the company’s 37 per cent target. 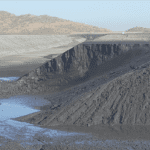 Its restart is focused on processing from the mine’s tailings deposit with an initial phase one production pegged at 8 million tonnes per year (Mt/y) of zinc concentrate. 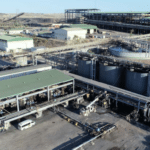 The company then hopes to increase this to as high as 15Mt/y in phase two, following the injection of around $63 million by the fourth quarter of 2019. The Century mine was officially reopened last month after being closed by previous owner MMG at the start of 2016. During its previous period of operation from 1999 to 2016, Century was one of the world’s largest zinc mines. New Century hopes that the restart will see the mine become one of the world’s top 10 zinc producers. Last month, Century saw revenues of $27.2 million from concentrate sales, including $9.8 million from an already-produced 7000t and $17.4 million from the forward sale of 13,000t of October production. The company also said that its $40 million debt facility with National Australia Bank (NAB), first announced in early September, is now nearing completion.